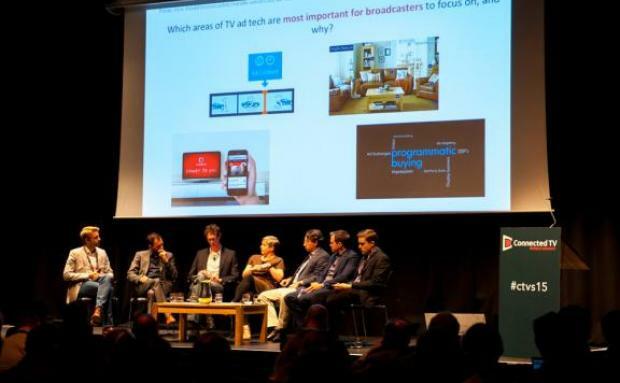 Graeme Hutcheson, Head of Sky AdSmart, speaking on a panel at the Connected TV World Summit. Eighteen months after Sky AdSmart went live on TV, nearly 500 advertisers have used the service â€“ 69% of them new to TV or Sky Media, Skyâ€™s media sales house. During that time, there have been 2299 campaigns on the targeted ad insertion platform, more than 700 of them post-code-based, with a total of 1.9 billion ad impressions served. 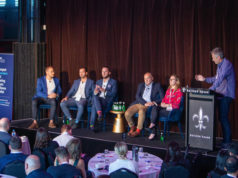 Despite â€˜newbiesâ€™ out-numbering existing Sky Media clients on the AdSmart platform, Hutcheson conceded that the position was reversed when it came to revenues. â€œWeâ€™re seeing the majority of revenue come from brands who are very familiar with the way TV works and how it works for them. [For them] AdSmart is just a little add-on that enables them to really fine-target those-hard-to-reach audiences,â€ he said. At launch, AdSmart was able to segment Sky Plus HD homes into around 100 different audiences. â€œWeâ€™ve got to a place now where we’re just under 400 targeting attributes that an advertiser’s able to use to really fine-tune their advertising campaign,â€ said Hutcheson. These are divided into 8 different clusters, which are each segmented into further top-level attributes, some of which can be split even further (see Figure 1 below). For instance, Experianâ€™s Mosaic 2014 database has more than 400 bits of data per home, while the Lifestyle Fashion segment alone can be split into a further 33 targetable attributes. 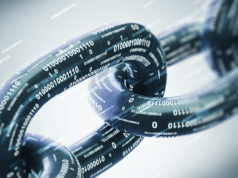 â€˜Custom segmentsâ€™ have only become available relatively recently, said Hutcheson, and allow advertisers to plug their own customer data into the AdSmart platform and message just their own customers, or perhaps those they know are not. â€œDirect Line, for example, might know exactly who is in the market for renewal of home insurance. We can start sending those people specific messages about their insurance coming up for renewal,â€ said Hutcheson. Among sectors new to TV or Sky Media, car dealerships feature heavily (400-plus have used Sky AdSmart so far), said Hutcheson. â€œ[In the past] Ford may have used a Ford Focus ad to blast out to as many people as possible in the UK. They’re now using that 30-second ad, potentially chopping 5 seconds off the end, and using a dealership message at the end.â€ â€œA lot of spendâ€ is also coming from retail outlets supporting store launches, property developers, finance and investment â€“ sectors that would previously have relied on direct mail, online, regional press and regional radio advertising. In the first stage, the known attributes of a particular household are downloaded to the Sky Plus HD box via satellite. This data is constantly updated on a weekly basis. In the second stage, the Sky AdSmart platform decides which advertisersâ€™ campaigns match a particular householdâ€™s profile, and the relevant ads are downloaded and stored on the relevant box. In the third and final stage, an algorithm detects an upcoming ad break where there is an opportunity to serve an ad, and inserts the relevant ad seamlessly into the video stream, effectively over-writing the default one. This so-called â€˜hintâ€™ algorithm also takes account of potential clashes â€“ e.g. when its action might end up serving a financial ad into a break over which a competing financial advertiser had exclusive rights. One intriguing point that emerged from Hutchesonâ€™s presentation was the need for a new way to calculate ad spend â€“ as much as for advertisers who use the platform as those who do not. How is the brand whose ad was overlaid to be compensated, and how can the brand owning the inserted ad know if itâ€™s been seen or not? With respect to the first question, Sky Media has worked with UK TV audience measurement company BARB to enhance its people-meter, so that every time an AdSmart ad is played out over someone else’s, BARB flags the event and ensures the scheduled impression is removed from the affected brandâ€™s account. As for registering whether an inserted ad has been seen or not, Sky Media has chosen to measure it as an impact only if the ad has been played 75% through in real-time. As Hutcheson remarked, in digital environments, an impression can actually be registered even where an ad is served but not viewable (see previous story), so 75% â€œis a big number that the advertisers seem very comfortable with.â€ Skyâ€™s viewing panel, which includes half a million Sky homes, registers each successful â€˜75% viewâ€™, and scales them up to provide the total number of targeted impressions successfully delivered for each participating advertiser.